At the intersection of 13th Avenue South and Belmont Road, take Lincoln Drive into Lincoln Drive Park (see on Map). A parking lot is available on your left. The main multi-use trail of the Greenway is located on the west side of the park, just after you pass through the park gates. An older, narrow trail (Lower Trail) that ran close to the river before the 1997 flood is still available for birding and biking. This trail goes along the river from east of the boat ramp parking lot to just north of the dog park. Much of this120-acre park nestles in a large loop on the Red River and was a residential area before the Flood of 1997. Some streets remain and these provide a drivable loop through the park. Mature trees, including oaks and spruces, along with shrubs of the former neighborhood provide excellent habitat for birds. 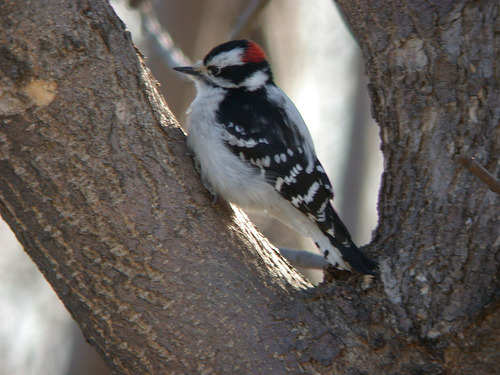 Expect to find a good variety of woodland species during migration and the nesting season. 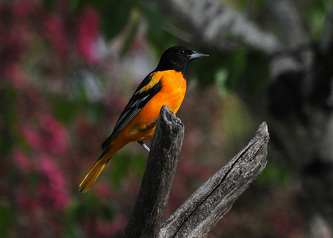 In summer, look for Baltimore Oriole, Rose-breasted Grosbeak, and Indigo Bunting. 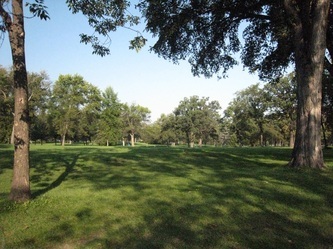 Much of the interior of the park is a Frisbee golf course that is highly used in the afternoons and early evenings. It is unlikely to be used in early morning and thus is available for birding.